We are proud to announce the inaugural Eternal Central Old School 93-94 tournament, being held at this year’s Eternal Weekend. This is not an event hosted by Card Titan or Wizards of the Coast, but rather a player-run event supported by Eternal Central. The tournament will be held at our hotel the DoubleTree Philadelphia, about an 8-10 minute walk from the Philadelphia Convention Center (where the rest of the Eternal Weekend events are being hosted by Card Titan). 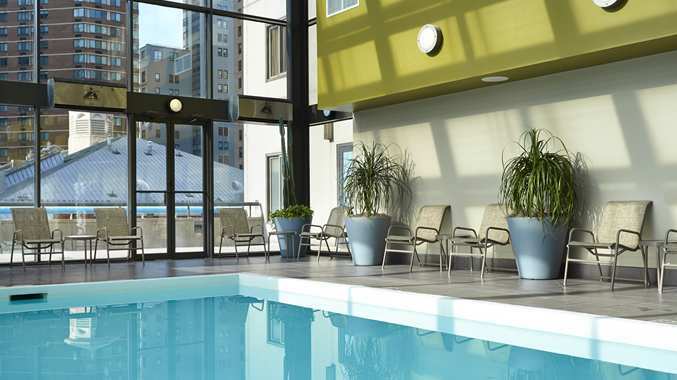 The DoubleTree has a heated indoor pool that we may be playing next to, so we highly recommend bringing swimming trunks! This tournament is open to all participants, but contacting us ahead of time will be your best bet to reserve your spot, and to ensure that we have enough space for this. If you wish to attend please contact us at support@eternalcentral.com with your contact information (your full name/phone number), and you will receive the tournament organizer’s phone number, and be added to the messaging group for special instructions that day (for logistics purposes). This will ensure everybody is in the area they are supposed to be at the hotel on game day. The Eternal Central Old School 93-94 tournament will be held on Friday, October 24 2014. – Entry Fee is $0 (FREE). – We’ll be on site at noon/12pm ET, and the tournament will start at 1pm ET. – Tournament length will be decided by the number of participants. Our goal is to start early enough to be able to get out to have a group dinner somewhere if everyone is interested (or to let people out early enough to do their own thing). – Prizes will be awarded by Eternal Central, and will be Old School in flavor and nature. This is a tournament for fun, and not ‘EV,’ so if you’re expecting to pay off your car with your winnings at this or any other Eternal event you will sadly be disappointed. Being of adult age and not under the supervision of WotC has its privileges. We are running this event BYOB, so you are encouraged to bring your favorite beer and alcohol to imbibe and/or share. The Eternal Central Old School 93-94 tournament will observe the Banned & Restricted List in the right sidebar on the EC Old School page. Constructed decks must contain a minimum of sixty cards. There is no maximum deck size; however, you must be able to shuffle your deck with no assistance. If a player wishes to use a sideboard, it can contain up to fifteen cards. With the exception of basic land cards, a player’s combined deck and sideboard may not contain more than four of any individual card, counted by its English card title equivalent. All cards named Plains, Island, Swamp, Mountain, and Forest are basic. 93/94 Old School Magic decks may consist of cards from the sets Alpha, Beta, Unlimited, Arabian Nights, Antiquities, Revised, Legends, The Dark, and Fallen Empires. Additionally, for this tournament we will allow Chronicles and FBB (foreign black bordered) reprints of these cards, but absolutely no foils and nothing in a new (ie. Modern) card frame. The following pictures will demonstrate what will be allowed, and what will not be allowed. Your are encouraged to give any opponent who plays Chronicles cards a hard time. Do you have any other questions or suggestions regarding this event? Please contact us at support@eternalcentral.com ASAP. Thank you, and we look forward to seeing you there!